As an organizer, you are responsible to manage everything such as selecting and booking a venue, marketing the event, managing enrollment and a lot more. In order to make things easier for you to enjoy the time with your friends, we’ve brought you the best ways to plan a weekend retreat. Planning a successful retreat is about designing an experience. Making sure that the location itself provides an experience in and of itself is a key element.. Whether it’s a yoga retreat, a meditation retreat, a spiritual gathering retreat, or a teaching retreat, Sacred Grove Retreat Center has so many features that make it the perfect location to host your retreat. Once you have selected your venue and booked the dates, then you can focus on other important tasks that reflect your intention. The first thing when planning a weekend retreat is to find enthusiastic people who want to enjoy the weekend with you. This means you must find the target people that are a good fit for your retreat. Think about who would want to book your retreat? Why do they buy from you? 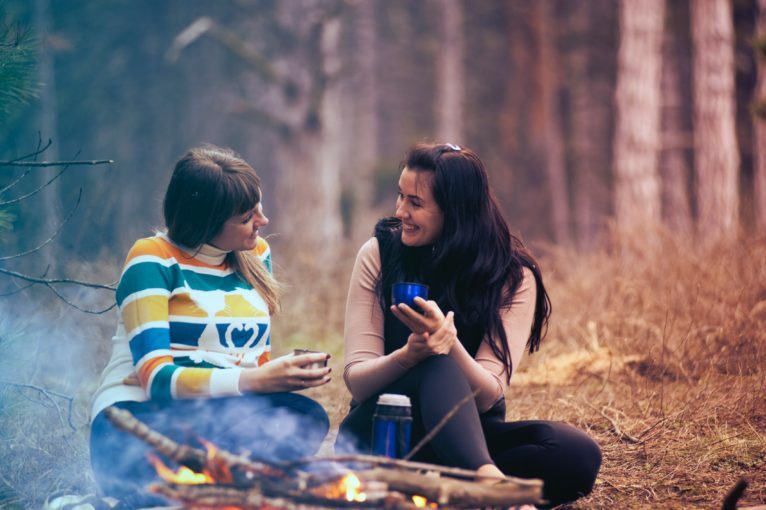 This helps you identify the people that could benefit from your retreat.Reach out to them and have them reach out to their friends who might want to attend with them. Friends love doing retreats together so you can offer twofer specials to increase your attendees. The retreat must include a variety of exercises, to make it fun for the students. Depending on your target market you have defined, it is useful to create a theme and think about the activities that the subscribers can enjoy while on your retreat. Again the better understanding of your target market helps you a lot here. The more you understand the audience, the better you know about their hobbies and interests. Having different and optional activities for them to participate in helps cover the interests and needs of your attendees. Once you have the better understanding of the target audience, you can start planning your classes. Think about the experience you are hoping to deliver to the attendees and what they might need? Refer to your roadmap to support your theme with thoughtful sequencing and curated inspiration. Be sure to make it a personal experience for each student and there should be enough space in your plan for spontaneity and inspiration. Once you have a clear idea about the planning, comes the final part – selling your weekend retreat. Marketing your retreat can be easy if you’re excited about it. You must be enthusiastic about your offerings as it proves to be your most powerful marketing tool.Promote your retreat on social media, as this connects hundreds of people with each other. Don’t be shy about asking your network to spread the news. Once the weekend retreat ends, it’s a great idea to give them a form to fill out to give you honest, anonymous feedback. This is invaluable information to receive so that you can see what worked and what you can improve on next time to make their experience even better. Ask them to go to your social media account and write a testimonial about their experience. Short videos of participants raving about your retreat, can be a great marketing tool for future retreats. So, call me and let’s look at dates to plan that retreat that you’ve always wanted to do.